Among the many allegations Senator Isah Misau made against IGP Ibrahim Idris was that the police boss appointed a junior Deputy Commissioner of Police, DCP, Imohimi Edgal, to assume duties as the acting Commissioner of Police in Lagos. 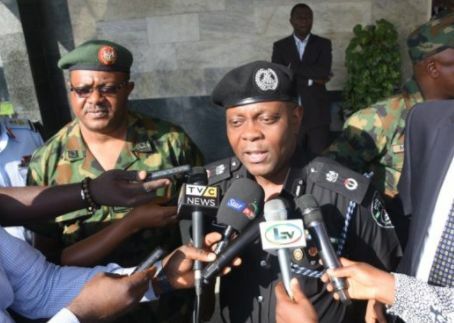 But investigation by Sun revealed that the new Commissioner of Police in Lagos has been a victim of the long-criticized quota system, seemingly inherent in the Nigeria Police. This should be attested to by the way the new CP embraced the challenges ahead in policing the state and succeeded within so short a time in recording landmark achievements. This was after he uprooted the dreaded badoo cult group that was ravaging Ikorodu and its environs in the state as the Deputy Commissioner in charge of operations in the state. Subsequently, as soon as he assumed leadership as the acting Commissioner of Police, he demolished the killer shrines in the area thereby putting a permanent stamp on the criminal activities of the gang. Similarly, he embarked on townhall meetings with all the stakeholders in security all over Lagos and in no distant time, it paid off with positive results that came from parley. Interestingly, facts emerged that the acting Commissioner of Police who has served 31 years in the police as a graduate cadet Assistant Superintendent of Police, has his course mates far more ahead of him in police hierarchy. Presently, some of his course mates have moved up to enviable positions as Deputy Inspector-General of Police and Assistant Inspector-General of Police. The list includes but not limited to; the present Deputy Inspector-General of Police, DIG, Logistics, Maigari Dikko, AIG Zone 2, Onikan Lagos, Adamu Ibrahim and AIG POLAC, Zani Mohammed. In the Commissioner cadre; we have CP Odude Abiodun of Oyo State, CP Fimihan Adeoye of Osun State, CP Gbenga Adeyanju of Ondo State, CP Bashir Manama of Benue State, CP Shola David of police Cooperative , etc. Police sources revealed that the promotion of Imohimi Edgal who is from Edo State was stagnated for long due to the quota system even though his operational records beat that of most of his colleagues. This, according to sources, could be attested to by all the commissioners of police he served under at various times. Retired Deputy Inspector General of Police; Marvel Akpoyibo who he served under when he was the CP Lagos has this to say about him. “Edgal is a very seasoned officer, highly professional, cerebral and fearless. He performed his duties with passion and uncommon commitment. He does not tolerate crime and he fights crime very doggedly and takes joy in ensuring success where others failed.